Calvary: This one came right at the end of the year and if I’m honest, I’m still reeling. I sat in silence at the end, unsure how to respond. It’s not a comfortable watch, dealing head on with Ireland’s recent history of sexual abuse and the entanglement of the church in the worst of it. There’s a layer of dark comedy which makes it even more disconcerting to watch, making you unsure of the ground under your feet. But it’s not a film that simply targets the church as scapegoat – it makes you wonder, if we burned down every church and killed every priest, would any of us feel any better? Would we be any better? I carried away a sense of an emptiness at the heart of our culture, a cynicism and detachment covering up darker stories of addiction and violence and twisted desires. And a need for forgiveness. I felt like the only appropriate response at the end was to pray, “God forgive us all. And God help us all.” Which is quite a place for a movie to take us. About Time: And now for something completely different! This one is a bit of a surprise. I’ve never been a fan of Richard Curtis movies, not so much because they are romantic comedies with plenty of schmaltz, but because I always picked up a layer of mean-spiritedness under the froth. So I have literally no idea where this came from. I loved everything about it. It’s goofy, daft, sweet, funny, moving and thought-provoking. It uses time-travel as time-travel should be used, not just to mess with your mind, but to make you think about, you know, the meaning of life, and time, and these days we’ve been given. It deals beautifully with fathers and their sons. I makes you want to live your days with wonder and gratitude. And the music is perfect, including lovely use of Nick Cave’s Into My Arms, The Waterboys’ How Long Will I Love You? and Ben Folds’ The Luckiest. Lay aside your cynicism and let yourself be delighted. Short Term 12: This is a small, low-budget movie made with a cast of mostly young people who are not professional actors. And it’s just wonderful. It’s set in a short-term care home for troubled teenagers, and it simply turns a compassionate and honest eye on the stories of these kids and those who care for them. It’s gritty enough to be truthful in facing the depth of the problems and the wounds some young people are carrying. But hopeful enough to leave you inspired and not in despair. And it makes it so clear that we’re all in this together, the kids and their helpers, those who hide their scars and those who show them to the world. We all need a little help. We all can give a little help. I wish movies like this got more attention – simple, powerful, beautiful, profound. There were lots of other movies I really liked this year, including: Inside Llewyn Davis, Nebraska, Her, The Broken Circle Breakdown, 12 Years a Slave, The Past, Mud, Away from Her and Gone Girl. And several weird and wonderful documentaries left me intrigued and wondering (and sometimes disturbed): The Imposter, The Act of Killing, Jiro Dreams of Sushi and Stories We Tell. I thought this was a good year for movies. There were a few that were terrible but I managed to see more memorable films this year than other years in recent memory. Coming up with a top 5 list was quite difficult and there were a fair few others I would heartily recommend. 1. 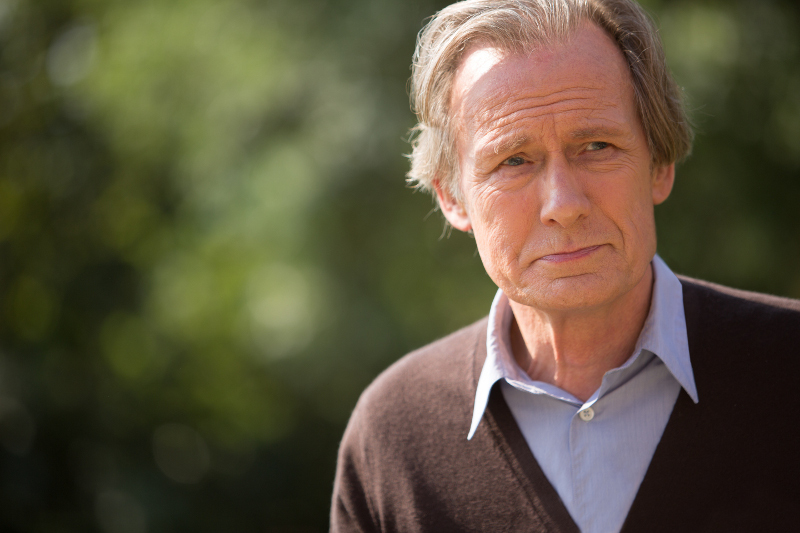 2 days, 1 night – With this film the Dardenne brothers overcame Woody Allen and the Coens as my favourite filmmakers. It was quintessentially Dardenne-ian but just…better. Above anything else they are the most gifted storytellers around. Peopled with real, complex, utterly humane characters in simple yet difficult circumstances, grappling with complex choices (sometimes of their own making, sometimes not) they have crafted a formidable body of work that is a kind of poetic realism more than anything else. Everything is about the story, all the excesses or indulgences that are present in most films I see are stripped away. And the stories…what stories. In this, a damaged woman has to convince her work colleagues to save her job. And she has 2 days and 1 night to do it. What follows are 90 minutes of cinema more gripping than anything else I saw all year. Sure than have created a story for our times of economic hardship but it is never preachy. It is anchored in an astonishing performance by Marillon Cotillard who exasperates, infuriates and breaks your heart in equal measure. 2. 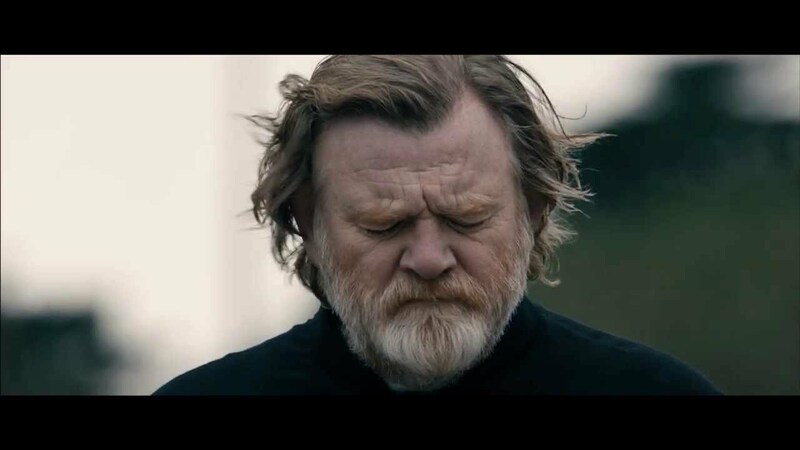 Calvary – I saw this with some friends in a packed QFT and I don’t remember an exit from a cinema so quiet. It seemed almost disrespectful to speak after a film like this. The directors previous film ‘the Guard’ was hilarious and this was too….for a while. But then the humour gave way to something more serious, more angry, more moving. The humour was there but it seemed to be there to stop the bottom of the world on screen giving away completely. As the film became darker, angrier and more disturbing it became about something else too. It became about an innocent paying a price for the sins of others. It didn’t matter who the perpetrator of the crime would be…it could have been any of them really. It mirrored Gethsemane in ways for me. This was provocative, stimulating cinema about something, but not as self-indulgent as that sounds. And Brendan Gleeson made you love him which put you on this journey with him. 3. Paddington – I took my children to see this and what an unexpected delight it was. The trailer made it look terrible but I knew it was going to be a winner when 2 minutes in my daughter climbed onto my knee and said ‘I love this bear’. This has been the only time in 4 1/2 years she has both sat still for 90 minutes AND not talked. My son and his little friend didn’t touch their sweets. This was everything a family film should be: sweet, funny, moving, tense, charming. It was also beautifully made too, like a Wes Anderson film for kids. Paddington himself was just gorgeous, the nicest character in a kids film I have ever seen. We all walked out with the biggest smile and they are still talking about it 4 weeks later. 4. The Past – At the other end of the spectrum was Farghadi’s follow up to the quite brilliant ‘A Separation’. Another complex tale of damaged, complex people was also completely gripping. I love the way Farghadi allows you room to piece together a complicated narrative, through snippets of conversations, a small glance or an act of confession. When you watch it you know you are in the hands of a master storyteller. 5. The Grand Budapest Hotel – Wes Anderson is another favourite director of mine and I think this is his best film. Often criticised for lacking heart and being too clever-clever in his films, this is definitely an exception. It is full of warmth and is hilarious but with moments of real tenderness. Like all his films, every scene could be framed and hung on the wall. A joy from beginning to end. There were many other films that I really enjoyed. The main contenders were ’71, Inside Llewyn Davies, 12 Years a Slave, Gone Girl, Fury and Bullhead. The biggest disappointment by a mile was Interstellar. I have always liked Chris Nolan’s movies, but I hated this. In contrast to ‘The Past’, in which putting everything together required some work, Interstellar consisted of 2 parts: 1 hour of watching crops burn and 2 hours of Matthew McConaghy telling you what is happening in the movie you are watching. Quite why this happened is hard to tell. Either because we are all too stupid to figure it out, or else there was no way to tell the story without doing it. Quite frankly, if you can’t tell a story without having to explain the story to you as it unfolds, then maybe you shouldn’t have bothered in the first place. I’ve been waiting to hear your reflections Ricky. Thanks for taking time to share them. I’ve put “2 Days, 1 Night” at the top of my must see list for this year. Will look forward to seeing it. I totally forgot about Paddington, and I completely agree. An absolute delight of a movie, inventive and funny and good-hearted. All three of my kids loved it too (from 5 to 10). I think you know I have mixed feelings about Wes Anderson, I keep watching his films, hoping for me, but they never quite connect emotionally, as beautiful as they look. But I’m sure I’ll give this one a go at some stage too. (Bizarrely, Fantastic Mister Fox is the one exception – I found his animated characters more convincing than his human ones!). Give me a shout if you find yourself up this way in 2015. Would love to catch up. 2014 was another good year for film. Three diverse and stimulating films I really enjoyed were Calvary, 12 Years a Slave and Boyhood. 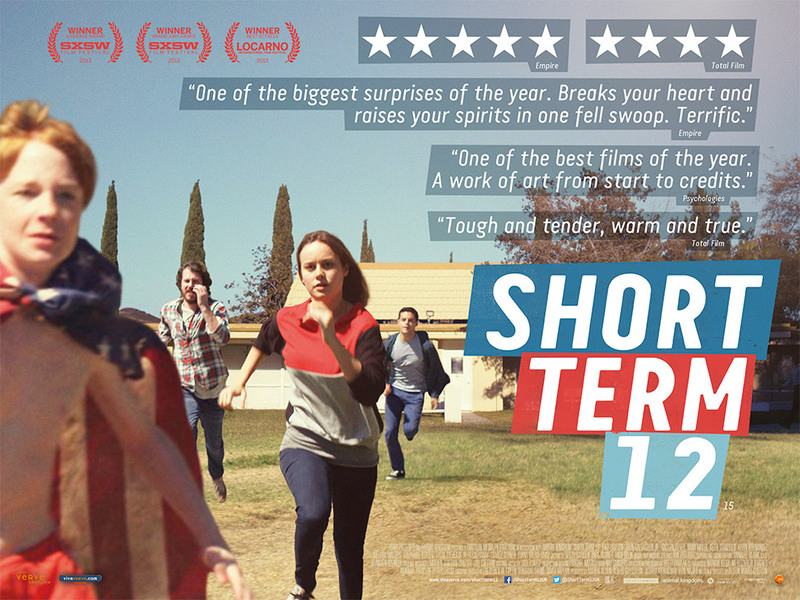 Two others I simply loved were Short Term 12 and Her. Calvary: This was the one I looked forward to seeing most and it didn’t disappoint. Right from the opening scene it demanded attention. The writer/director somehow manages to blend dark comedy with depravity and a few glimpses of light to deliver a deeply provocative commentary. I found it insightful and even humbling. 12 Years a Slave: Steve McQueen felt there weren’t enough films depicting US slavery. He righted that wrong with this powerful drama. Several brutal, haunting scenes are etched on my memory and continue to stir a response. Boyhood: A film with huge vision and scope. In that sense it completely captured my imagination but it never quite got under my skin. I appreciated it as one of the most novel concepts in years; using the same actors over a 12 year period to make a single, successful film. But I didn’t love it. Short Term 12 // Her: These two stories about humanity captivated me from start to finish. Her was original, smart and visually stunning, showing a need for connection that made it sad in many ways but beautiful. Short Term 12 was gritty and inspirational – a rare treasure – with key characters demonstrating vulnerability and courage. Others I really liked were The Selfish Giant, The Dallas Buyers Club and Inside Llewyn Davis. I wanted to like Museum Hours but struggled while I’m still torn about The Wolf of Wall Street. I appreciate Wes Anderson’s art but I’m with you JM – it never really draws me in. I need to catch up on many of 2014’s films including: Frank, Leviathan, Two Days/One Night, The Past, Interstellar and 71. It’s early days but it looks like this could be another good year for film. Good stuff Glenn.I’m with you all the way on Calvary, Short Term 12 and Her. All wonderful films. I found 12 Years a Slave very powerful at times but something about it fell a bit short for me, I’m not sure what. Still a fine piece of film-making and a story that needs to be told. I’m looking forward to seeing Boyhood, as well as Leviathan, 2 Days/1 Night, and Ida. Let me know when the film blog is up and running! Happy New Year Glenn. 12 Years and Django Unchained make for an interesting comparison. Tarantino credits himself with dragging slavery back into public debate with his film and Steve McQueen used 12 Years as a kind of rallying call, saying not nearly enough films have addressed the idea of slavery. McQueen may be right. I’m not quite sure Tarantino is. Slavery has been debated before, long before Django. Can Django be considered an effective exploration of slavery? Probably not. Personally, Django seemed to be a revenge fantasy rather than a film on slavery. More than that, it seemed to be at best an exploitation movie thinly disguised as a self-indulgent, superficial attempt re-introduce slavery to the masses, mining the issue for cheap gags and gratuitous violence. On the other hand, 12 years tried with sensitivity and some degree of reverence, to revisit the horrors of slavery. There was a lot to be admired. It was well played, beautifully shot and harrowingly brutal in places. I was left underwhelmed and I found myself asking ‘so what?’. The closing shots of Solomon Northup being taken away lingered on the slaves left behind. The pay-off, when Solomon was reunited with his family closed out the film. So one man got away. Many many others remained to endure the horror. This gave me no satisfaction whatsoever. I was left angry, frustrated and somehow felt like the film wanted me to rejoice at his emancipation but I was unable to do so. Was the film itself ambivalent, or was my reaction to it? Was I wrong in my reading of the film? Either way, I couldn’t escape the thought that the lingering reservations and questions were more constructive than those felt after Django. 12 Years, personally, seemed to be a film made with greater, more sincere and more honest intentions. And for an issue as mind-blowingly abhorrent as slavery, the imperfect frustrations of 12 Years may well be more important and be more worthy (not sure if that is the right word) than Django. I would be interested in any thoughts on either, or both. Ps. The blog will be up soon…. My first confession is that on the level of pure entertainment, I found Django completely engaging, while I found 12 Years a little dull at times. There was something so careful about the way 12 Years was constructed that it lacked a little life or something. Even when it reached the moments of brutal violence I felt like the director was lecturing me – look at this, this is bad, how do you feel? The result was that I didn’t feel very much – there was something a bit detached about it, I wasn’t immersed in the emotions but watching from a distance. I think that’s why I ended up feeling it was a movie to admire (and discuss) but not one that really moved me deeply. I feel uncomfortable reflecting on my feelings about Django, but probably rightly so. I found it hugely entertaining, very funny, and I was completely swept along by its energy. But when I step back I suspect you are right to question its moral heart. I’m not sure what it was saying about slavery or anything else. Having said that, I felt genuinely shocked and shaken by the violence in Django – it felt brutal and visceral and animal. So in that sense it moved me more than 12 Years.